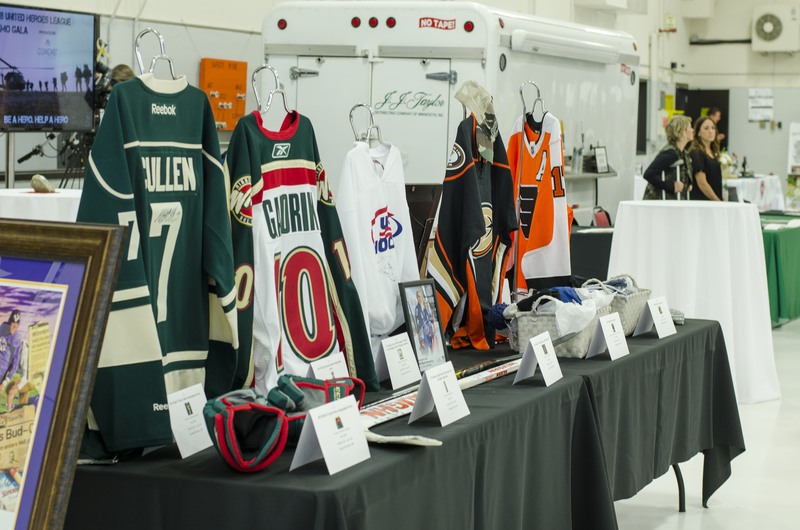 The annual United Heroes League Camo Gala was once again held in the UH-60 Blackhawk hangar at Holman Field in St. Paul, MN. The Gala featured a cocktail hour, seated dinner, sports memorabilia auction, celebrity guests, awards presentation, and an intimate private concert with Chris Hawkey! It was our most successful gala yet! All proceeds of the 2018 Camo Gala went directly to 501c3 non-profit, United Heroes League to keep military kids healthy and active though sports while their parents are serving our nation.